Time together as a family is precious. 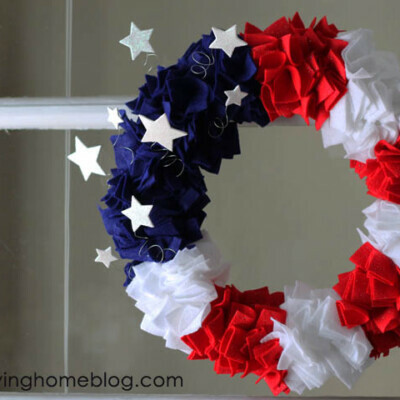 Maybe like us, you want to use these years of having kids under your roof wisely. We want to build life-long relationships with our children and influence them to be successful, compassionate, loving adults. Sometimes that feels like the most overwhelming task. Where do we start as parents? 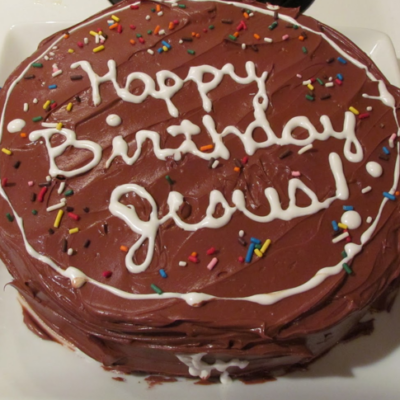 Well, here’s one practical idea you can start with today. 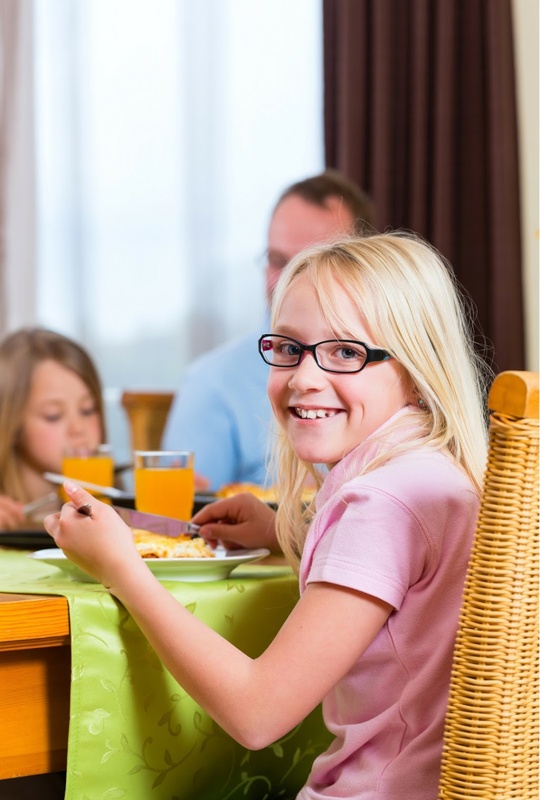 Intriguingly, the single most common developmental denominator cited by Fortune 500 CEOs is that they grew up regularly eating family dinners! 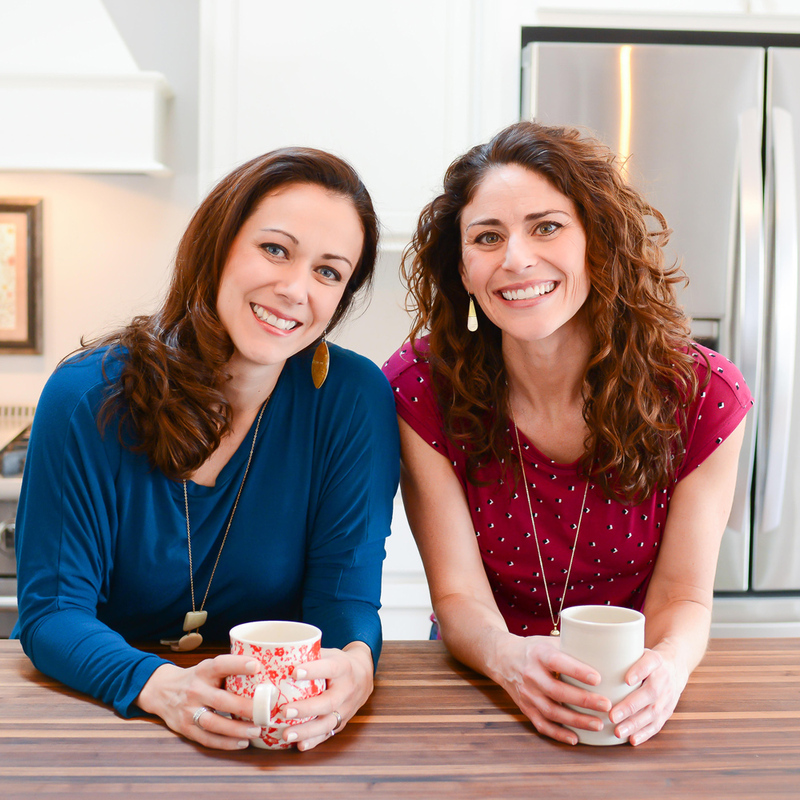 Polly and I have both found that asking great questions around the table is a quick, fun, and often meaningful way to connect after a long day. 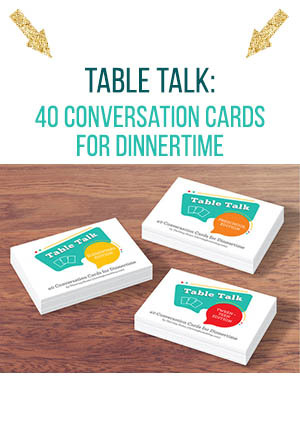 That’s why we created these printable Table Talk cards to use at dinner time. What Are Table Talk Discussion Cards? 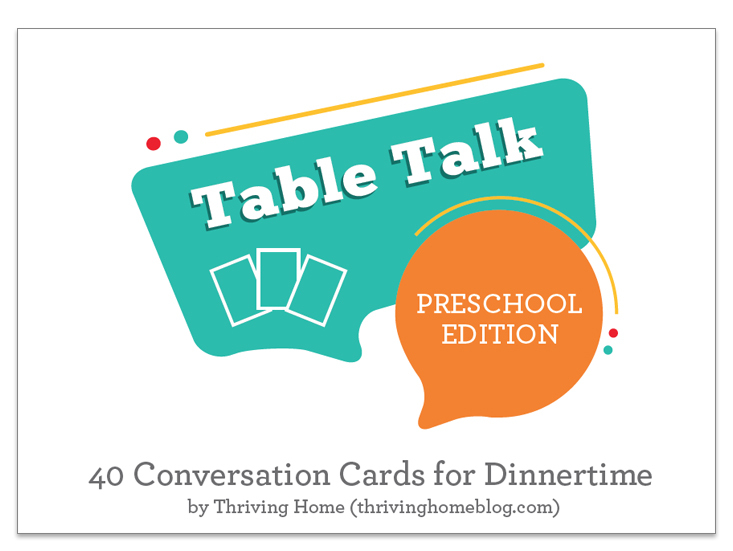 Table Talk comes in three age-appropriate sets. 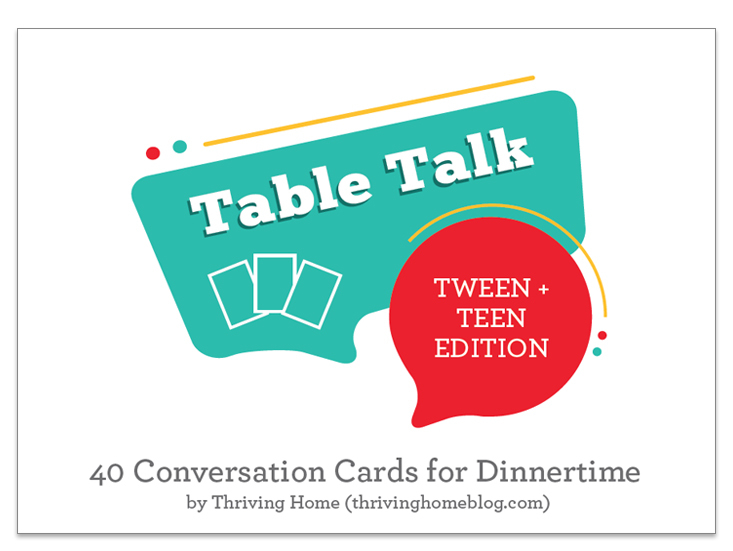 Each edition includes 40 printable question cards that are designed to stir up conversation in your family. Some questions are silly and will have everyone at your table belly laughing. Other questions are a bit more intentional and intend to bring out much needed deeper thoughts and conversations. 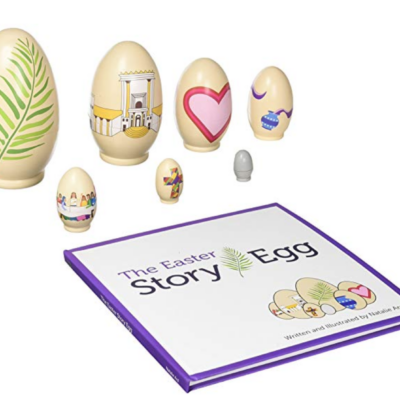 Purchase the Preschool Edition here for $4.99 (digital product). Purchase the Elementary Edition here for $4.99 (digital product). 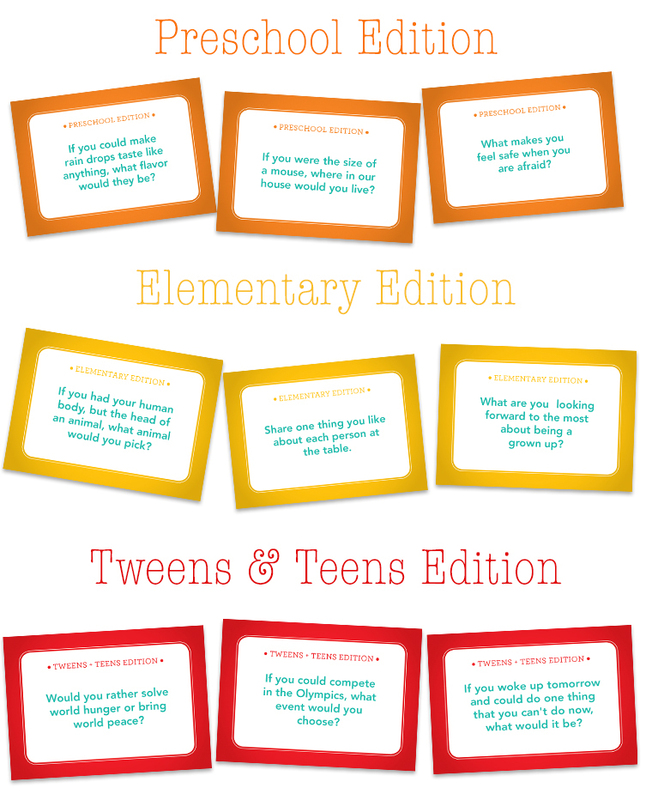 Purchase the Tween and Teen Edition here for $4.99 (digital product). BEST DEAL: Purchase the all 3 sets here for only $11.99 (digital product). One a Night: Select one card that every person at the table will answer. Everyone Pick: Have each person draw one card and answer it for themselves. 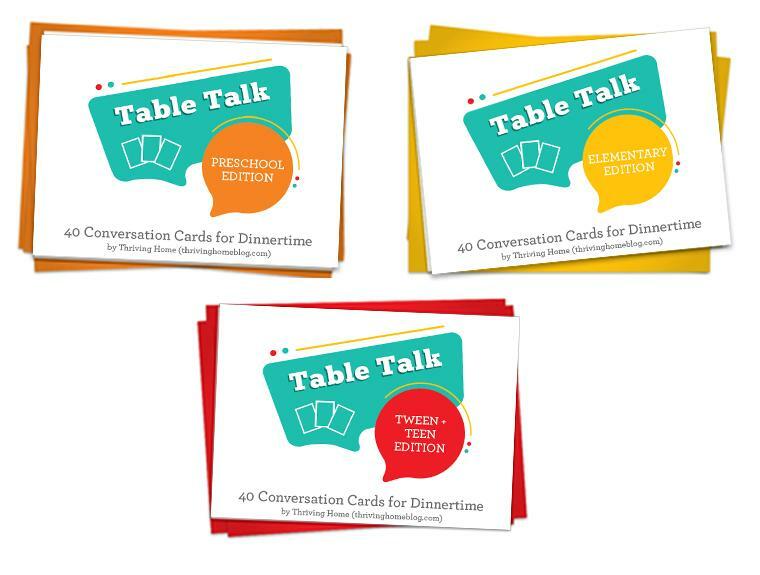 Think Outside the Table: Bring the cards along on your next road trip or big family gathering. Gift Them: Attach a set to a meal that you might be taking someone. You can have these cards on your table tonight! After you purchase your set(s), you will immediately be emailed a 5 page pdf file for each set to download. Simply print the pages off and cut the cards apart to use right away. 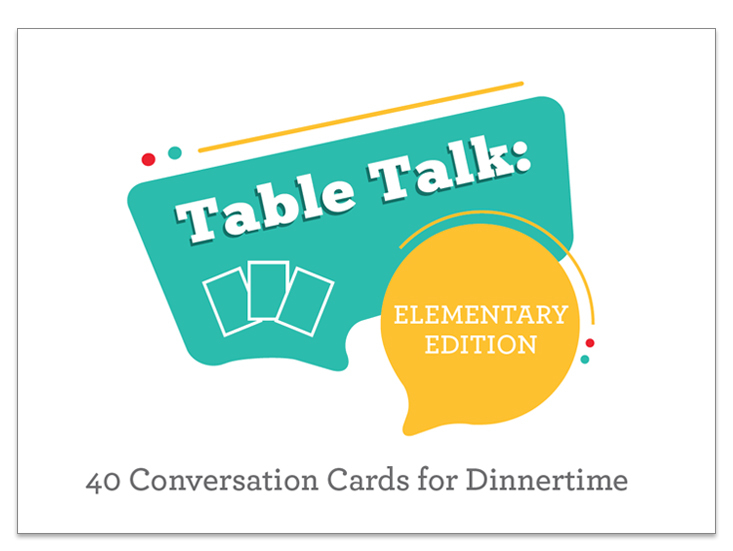 Note: Table Talk is a digital product only. Don’t miss out on this valuable time to influence your children and grow closer to one another! 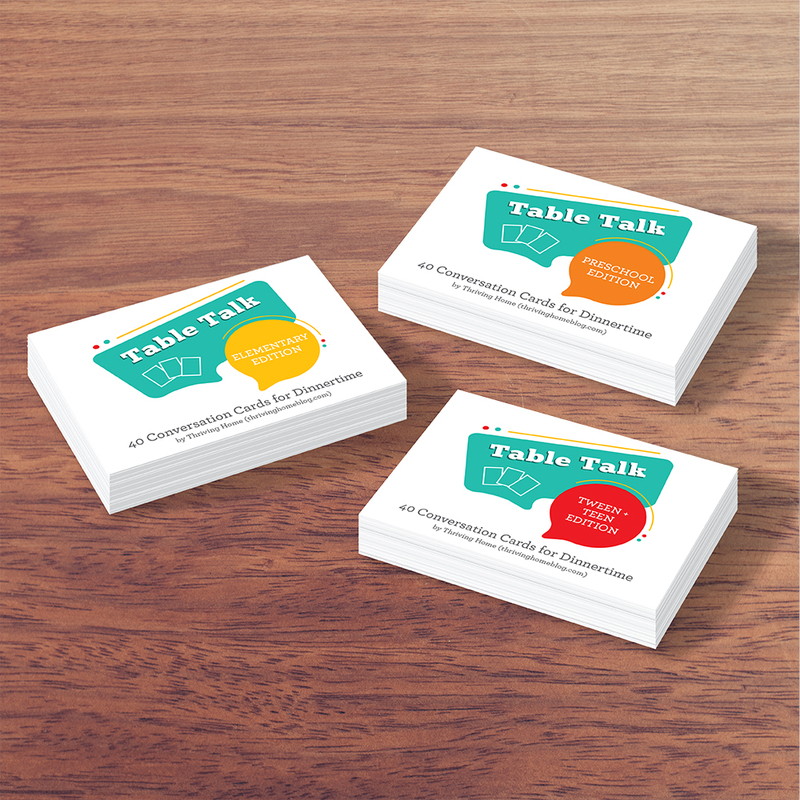 Read more about our printable Table Talk Cards here. 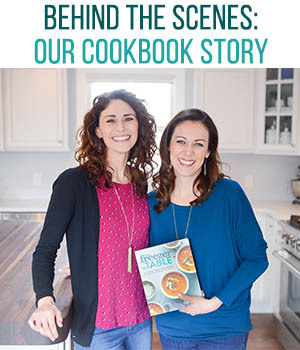 Are you looking for easy, family dinner ideas, too? 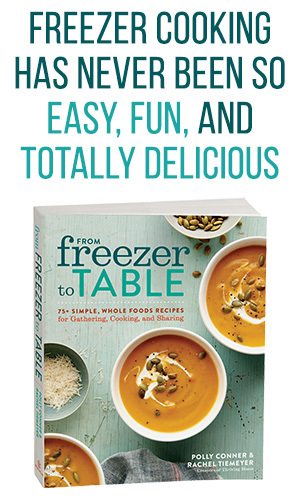 Check out our Recipe Index for family-friendly, real food recipes.